Rita Handayani is the Head of the Revenue Assurance Operation Division at Indosat Ooredoo, one of the largest telcos in Indonesia. With nearly 100 million customers, Indosat Ooredoo has the most subscribers of any telco in the multinational Ooredoo group. This means Rita has the unenviable job of assuring revenues across the large and diverse range of customers served by Indosat Ooredoo. 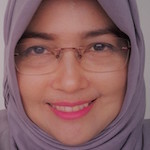 Previously Rita was the Head of Fraud Management at Indosat Ooredoo. She has specialised in RAFM for 13 years out of the 24 years she has worked in telecoms. Rita will be a panellist at RAG Sydney, where she will share her insights into trends that affect her role and that of her peers.